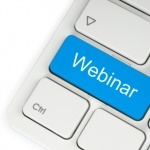 November 21, 2012 — ChiroTouch, a leader in chiropractic software, recently announced “Keeping Compliant in 2013” webinar, which is scheduled to air live for one hour on Nov. 29, 2012, at 11:00am PST. Have you already gone through your first attestation period in 2011 or 2012? Are you seeing Medicare patients but are not planning to participate in the stimulus? Tune in to learn about PQRS (Physicians Quality Reporting Systems) and how to keep compliant in 2013! You could still be eligible for up to $39,000 in reimbursements if you act by 2013! To join ChiroTouch for this webinar, visit www2.gotomeeting.com/register/191983658.